The Leeds South and Central SSP is committed to respecting your privacy. This website uses Squarespace Analytics to help analyze how users use the site. The tool uses collects standard Internet log information and visitor behavior information in an anonymous form. This information is then used to evaluate visitors' use of the leedssouthandcentralssp.org website and to compile statistical reports on website activity for leedssouthandcentralssp.org. Our website contains links to other websites. The Leeds South and Central SSP is not responsible for the privacy practices within any of these other websites. We encourage you to be aware of this when you leave our site and to read the privacy statements on other websites you visit which collect personally identifiable information. This leedssouthandcentralssp.org website privacy statement applies solely to information collected on our website. Below the online contact form, there is a link to this privacy statement. There are two Twitter accounts ‘connected’ to this website, which allows us to syndicate photos/match event reports. 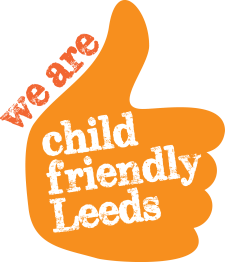 If we decide to change this Privacy Statement, we will post details of any changes on our leedssouthandcentralssp.org homepage. This will help ensure that you are always aware of what information we collect, how we use it, and under what circumstances, if any, we share it with other parties.